Four Diamond Resort living at Dolphin Bay Resort in Shell Beach! Unit 432, an open floor plan which was completely remodeled to make this a one of a kind suite. Finished with high end amenities including Wolf Oven, Sub Zero refrigerator, white painted cabinets and paneled fridge and designed with a unique cofferred ceiling! Quartz counter tops. Custom light fixtures. Special beach themed bathroom with a spa inspired design and unique mirrors. An enhanced linear fire place, entertainment nooks, and a beautiful walk out deck. Take an elevator to the magnificent 4th floor so stairs are not an issue. It is a perfect place to call home or ready to be placed back in the rental pool as an investment property with an acquisition of a unique couch with a pull out bed. Included in the magnificent suite is access to the pool, hot tub, manicured grounds, order room service, and enjoy every aspect of the lovely resort. A full gym for your enjoyment. Only steps away from the beach! 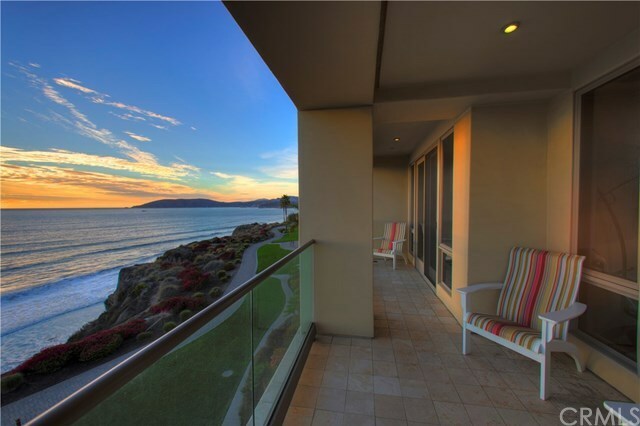 Watch the sunset over the stunning grounds and breathtaking views of the ocean. Enjoy the Central Coastâs perfect micro climate at the outdoor fire pit and BBQ area. Perfectly situated on the Central Coast for easy access to high end restaurants, picturesque hiking trails, kayaking, fishing, and many more activities! All furniture, light fixtures, art work, dishes are included and are conveyed with the purchase of this lovely unit. Directions: Highway 101 to Spy Glass off ramp. Head to Shell Beach drive and turn right to the Dolphin Bay Resort.